Dutch police arrested seven men, aged between 21 and 34, suspected of plotting a serious terrorist attack in Netherlands at a social event using explosive belts, car bombs and an AK-47 assault rifle on Thursday. Dutch law enforcement was tipped off by intelligence agencies suggesting that the ringleader of the terrorist group is planning to attack a large event in the Netherlands where there would be a lot of victims. The arrested suspects were planning to use bomb vests and assault rifles to attack at the event and detonating a car bomb at another location to maximize the number of casualties. Police carried out a month-long investigation to arrest the ringleader and other six suspected terrorist. According to Counter-terror agencies, jihadist networks are active in the Netherlands intending to plan terrorist attacks around Europe. The ringleader was identified as a 34-year-old Iraqi man who was convicted in 2017 for attempting to join IS in Syria. Two other suspects made similar attempts. The suspects were in search of illegal AK47s, handguns, grenades, explosive vests and other raw materials for bombs and were looking for opportunities to train themselves with such weapons and equipment, according to Prosecutor’s statement. However, the location of the planned attack has not yet been identified by police. 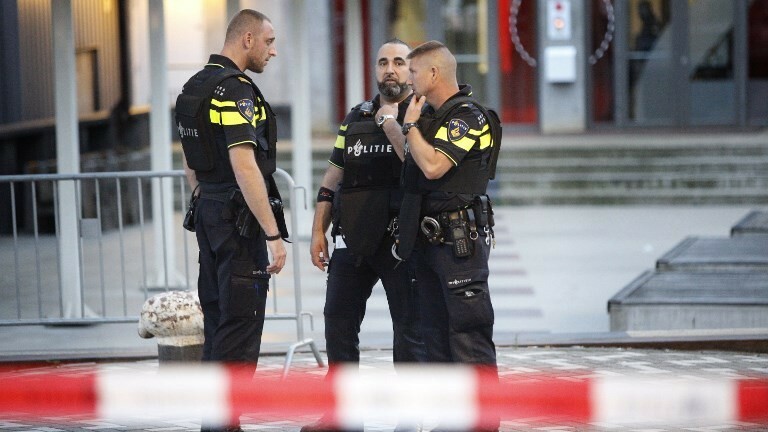 According to the Dutch intelligence Agency (AIVD) reports, the local networks of radical Muslims were weakened over the past year by internal divisions and a lack of leadership. However, the recent threat level in the Netherlands is currently set at four, making the threat to national security critical contradict the AIVD report. The recent arrests may be a relief for law enforcement, but the threat is still real and critical. The size of the Dutch jihadists is the main concern for increasing terror threat in the Netherlands. Jihadists blame West for the collapse of the ‘caliphate’ and use this propaganda to increase the number of local jihadist/ISIS supporter or sympathizers. According to former FBI Director James Comey, most of the local jihadists are motivated by ISIS and Al-Qaida propaganda through online. Law Enforcement around the globe has arrested more than a hundred alleged terrorist sympathizers yearly but couldn’t find a way to monitor them. It is only a matter of time before a significant terrorist attack occurs in the Netherlands because of freed terrorist supporter or sympathizers and lack of accurate information about the terrorist network. The primary challenge for law enforcement professionals is to gain accurate intelligence and identify the terrorists from innocents with the existing forensic technology, the required caveats are portability, proven and impeccably accurate. Well there is one technology that is ready to be deployed that meets all the required conditions and delivers even more. Yes, now, law enforcement agencies can utilize a flawless, revolutionary method to identify and extract information from brains of terrorists with over 99% accuracy and use the same technology to crush terrorism. iCognative technology provided by Brainwave Science is the only existing contemporary technology that is cost-effective, safe, non-invasive, offers unprecedented accuracy rate and guarantees positive results that no other conventional investigative technology could offer. iCognative is the only technology available in the security market that can determine what the suspect really knows, can further provide suspects’ connection to the foreign terror groups, depth of their connections, how they were approached, names and pictures of active terrorists or sympathizers, information about the planned attacks, location of attacks and other reliable information and links that cannot be gained through any conventional investigative tools. Application of iCognative technology enables acquisition of specific situational details recorded in terrorists, sympathizers or supporter’s brain with all information required to eliminate the imminent threat in approximately 45 minutes. Terrorists can lie and cheat the polygraph test or during interrogations but when confronted by iCognative test, they can’t hide any information because the test is unbeatable, extracts concealed information directly from the source of all planning and plotting- the human brain. This technology can reveal 100% accurate hidden links and connections that European law enforcement agencies have been trying to establish for ages. iCognative technology not only supports law enforcement agencies find hidden terrorists or accurate information about future attacks but also identify inactive terrorists in the country and provides the power to dismantle the Islamic State, Al-Qaida and other terrorist organizations around the globe.